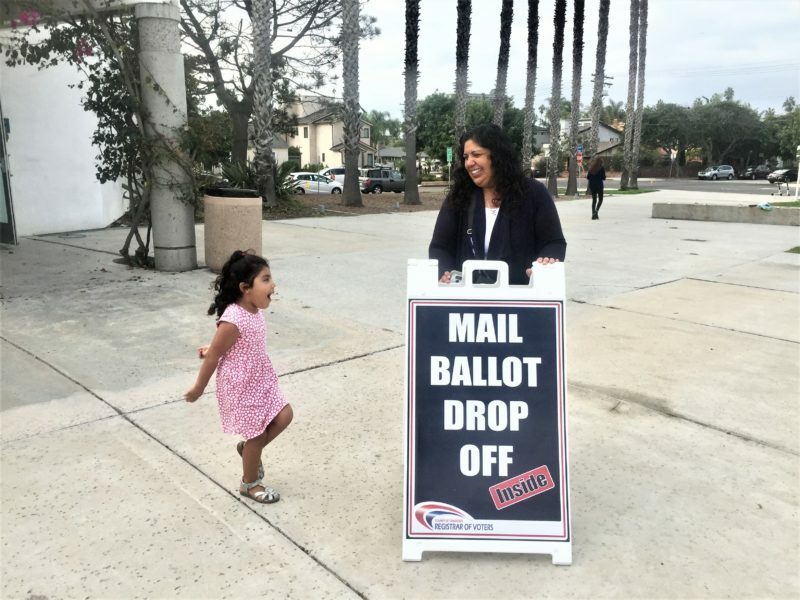 Voters in Pacific Beach and Ocean Beach went to the polls Tuesday to weigh in on the District 2 City Council race – and, by extension, vacation rentals – as well as the future of Mission Valley. One common theme that came up a lot: lingering confusion on the plans to remake the Chargers Stadium site. Roberta Robledo Ardalani, a Pacific Beach native, said while she and her husband often vote the same way, they filled in different bubbles when it came to the plans for the former Qualcomm Stadium, Measures E and G.
Mark Bath of Mission Beach said he voted no on both E and G.
Sam Nour of Ocean Beach said he voted against both measures, but his friends who live east of the coastal area support development on the site. Paige Ferguson of Mission Beach also said she voted against both measures because she thinks the city should lease the land rather than sell it. 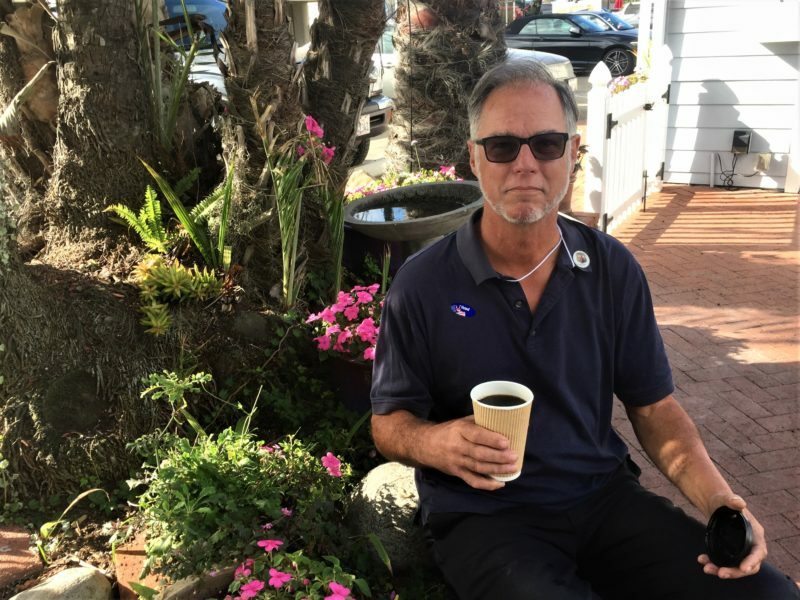 In the tight District 2 City Council race, voters I spoke with were split on whether Republican City Councilwoman Lorie Zapf deserved another term. Ferguson said she voted for Zapf because of her views on vacation rentals in the neighborhood. 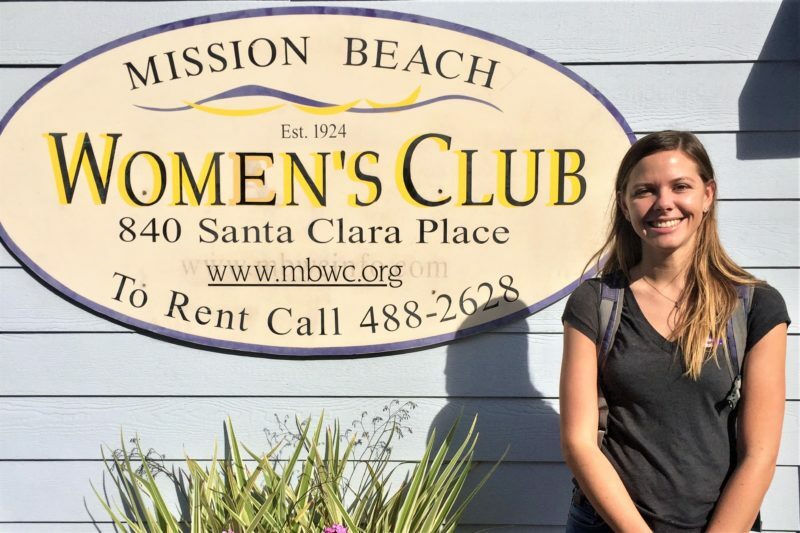 “It’s a big deal for me to try to prevent people from just having Airbnbs everywhere, and she’s been a pretty good supporter of that,” she said. 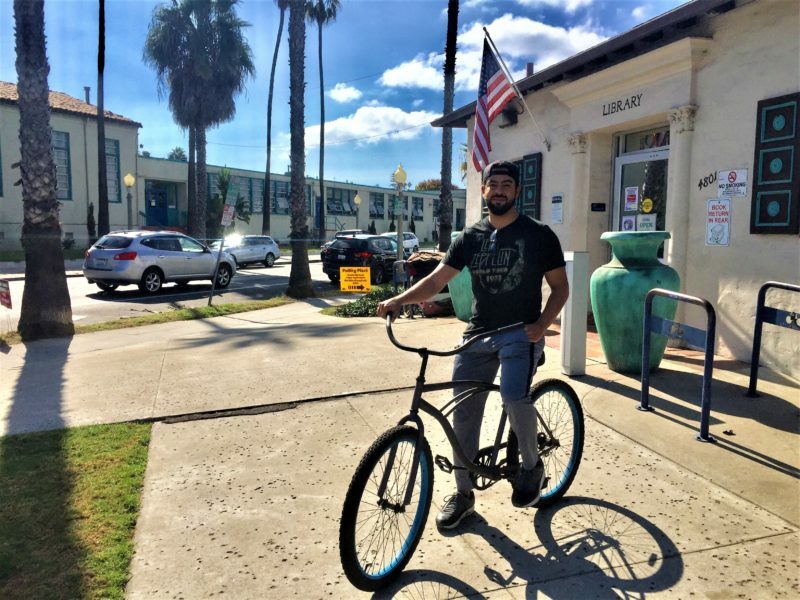 Nour said he voted for Democrat Jen Campbell because he noticed a lack of infrastructure solutions in the community under Zapf’s leadership. 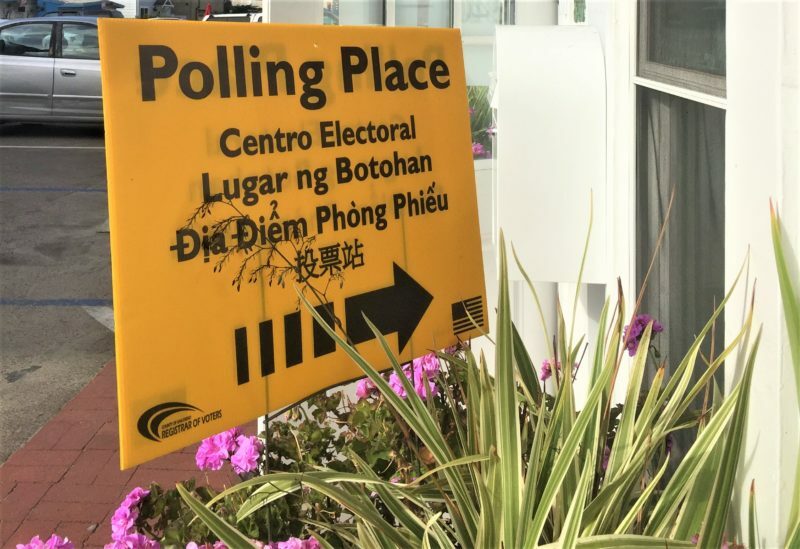 Voters I spoke with said they weren’t just motivated to come out to the polls because of a particular race or measure, but because the political climate made it seem vital that their views were being represented. 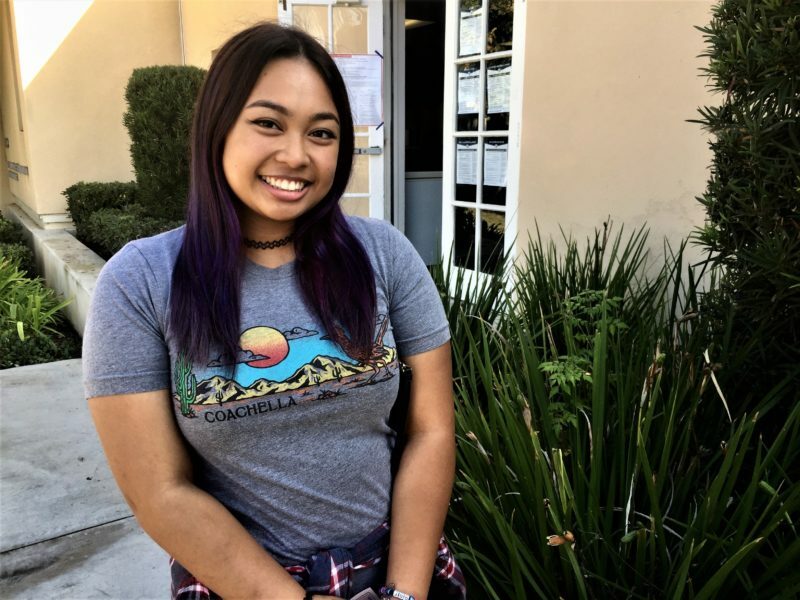 Eleanor Mudac, 20, a first-time voter and resident of Point Loma, said it was important for her to vote because she hears a lot of people say one vote doesn’t make a difference.